What does POS stand for in business? The definition of POS means point of sale, also known as a POS system or point-of-sale system. At a fundamental level, a POS is the heart of a business and is used to complete a POS purchase by accepting credit card payments and making cash sales. Consisting of a combination of hardware and software, a POS is designed to be a complete business management system for merchants, retailers, and restaurant operations. To compare different types of POS systems, visit here. 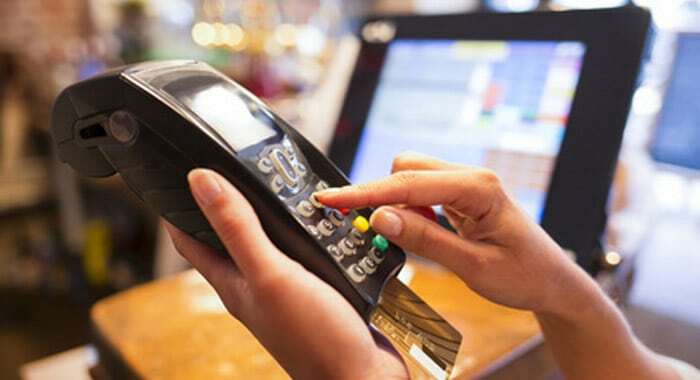 For example as a customer, when you’re at a fast food restaurant or a retail store, and you purchase something with a credit card or cash, a sales transaction is completed at the POS machine. As a merchant, you’re accepting a credit card payment at the point of sale terminal or taking a cash payment at the cash register to facilitate the purchase of a product – this means the customer and the merchant have just completed a POS (point of sale) transaction. Prefer to watch a video? Here’s a brief summary of the guide. In this guide to the meaning of point of sale, we’ll discuss basic definitions and show some examples to clear up any confusion on terms like POS system, POS, Point of Sale Machine, and POS purchase. We’ll also discuss the purposes of a POS system and how they work. By the end of this article, you’ll have a greater understanding on all these terms, and if you’re looking to find a point-of-sale system for sale, we will describe various types and show you where to compare and find the best option for you. What is a mobile point of sale (mPOS)? What is a POS payment or POS transaction? What types of POS systems are available? 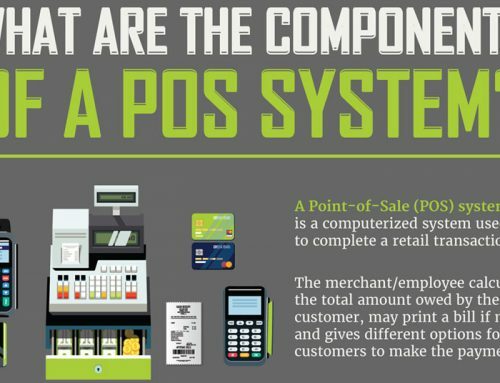 A POS system also is known as a point of sale system is the equipment and software that’s combined to provide merchants, retailers, and restaurateurs with features such as sales reporting and analytics, customer management, loyalty programs, inventory management, employee management, and online sales. A modern POS system will consist of a touchscreen computer that operates with POS software that’s used to complete product orders and accept all payment types. The hardware bundle will typically include a POS terminal, receipt printer, credit card reader, cash drawer, barcode scanner, kitchen or bar printer (for restaurants), and possibly even an on-site computer server for older legacy systems. Newer technology on the market like cloud-based and hybrid point of sale solutions run on iPads and tablets where your data is synced and stored online and eliminates the need for an on-premise server like with legacy software and hardware. There are hundreds of POS companies on the market, and the cost and prices will vary depending on the type of business environment you have and how many terminals you will need. Most companies will offer a cloud-based solution and mobile point of sale functionality. Having these options is mostly a no-brainer these days because you have access to all your sales and programming data online remotely or through an App. Mobile POS (mPOS) is a wireless solution used with an App on iPads, Android tablets, or smartphones that allows you to take your business with you anywhere you’re conducting business. 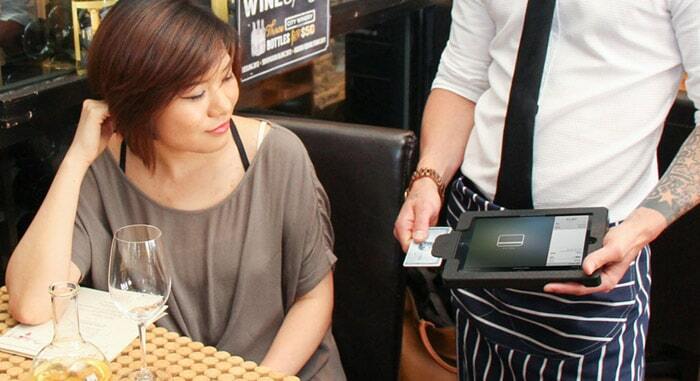 mPOS is popular for businesses of all types, even large restaurants, and retail shops. The top iPad POS systems on the market that we like and recommend is TouchBistro for restaurants and ShopKeep for retail stores. One of the primary benefits for considering using a tablet to capture sales is that they’re smaller and less bulky than your traditional point of sale terminals. Many restaurants and retail shops prefer the smaller footprint over large PC-based systems. They also allow the ability for taking orders and payments tableside at full-service restaurants or for showing customers images of products on the floor, as examples. Pricing can also be less expensive over their traditional counterparts. 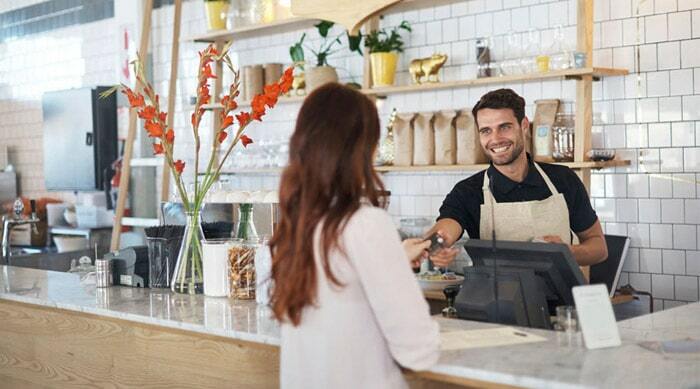 There are many other benefits of mobile POS for restaurants, but one negative to consider is that it’s a wireless system, so you need to have a good and fast wi-fi connection for everything to work correctly. Do a little research into point-of-sale software, and you’ll find more mobile POS solutions than you can shake a stick at. It seems everyone is coming out with a new mobile point of sale platform. You’ll want to compare features, prices, and look at some demos before pulling the trigger on making a purchase. The good news is you can compare the most popular ones here. The “point” of sale payment is when a customer and merchant exchange products or services completing a POS transaction aka point of sale purchase. The physical place the actual transaction occurs is defined as the point of purchase (POP), so the difference between POS and POP depends on the context when they’re used. There is usually a form of payment involved to complete the transaction, such as credit cards, cash, debit cards, EMV, and mobile payments. 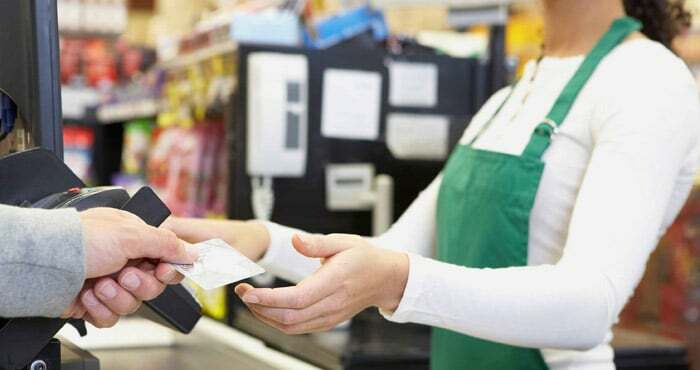 A typical point of sale transaction will happen at locations such as a quick-service restaurant, at a convenience store, or a department store. However, a POS purchase can happen anywhere with the increase in mobile payment terminals. Now days it’s possible to make a sale almost anywhere such as tableside at a full-service restaurant, on a food truck, or even at a traveling vendor show. As a merchant, you need to be able to accept payments and track your sales in the easiest, fastest, and most secure and reliable way. The purpose of a point of sale (POS) is to be the top employee in your business that makes your life easy and helps to grow your business. With that being said, if your top employee (your POS) isn’t working for you anymore or helping you be more profitable, then it’s time to find and buy a new POS! That’s why it’s so important to research your purchase and find the best POS solution for your business. It needs to have all the features and functions you need to grow your customer base and increase profit. Understanding the basics of how point-of-sale (POS) systems work and the implementation process is essential to know, especially if you’re looking to buy a new system. Functionality is typically uniform across platforms in the sense that a POS machine is used to ring up sales and to accept payments. That’s the most simplistic explanation on how they work. To dig deeper, when implementing a new POS solution, there are several steps to consider to become more familiar with the process. The Setup – There are software and hardware components to consider depending on your business type. For instance, if you own a retail store, you need a retail POS system. If you run a restaurant and bar, then you need a point of sale software and hardware dedicated to restaurants and bars. The two systems wouldn’t be interchangeable. So you’ll need to work with a POS provider that offers the appropriate solution for our business environment. Programming – Your point of sale software has to be programmed to accept your menu, products, and inventory that you’ll be selling. Most POS companies will program your menu or inventory items as an existing customer or additionally for a fee. Otherwise, you can program everything yourself. Either way, your software has to be programmed to begin using for transactions – this can be a time-consuming process, especially if you have a lot of items, so always give yourself plenty of time before trying to go live. Payments – If you plan on accepting credit card payments with your POS, then you need to sign up for a merchant account. A merchant processing account is required to accept credit card payments from customers. 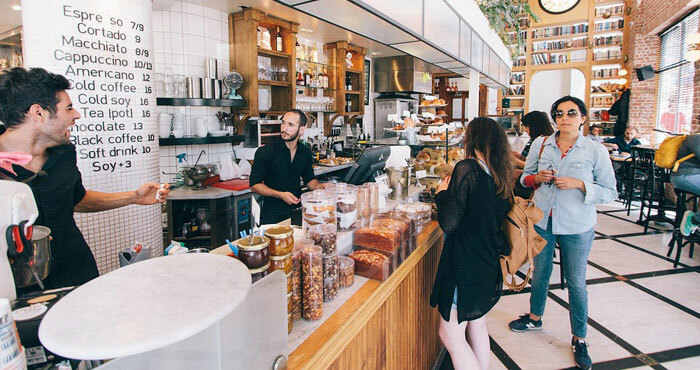 Most POS providers will offer a merchant account to integrate with your point-of-sale, or you may be able to use a 3rd party merchant provider. Installation – Most companies offer some service or support to provide installation. We highly recommend you take advantage of these services. It’s important to get a proper installation to make sure all your software and hardware works appropriately according to the company’s recommendations. Otherwise, you risk technical issues, and that’s the last thing you need when trying to operate a business. Training – Training and support are super critical to get the most out of your software. Some companies will offer online or remote training, but if you’re able to get onsite training with your staff present, that’s the best scenario. However, know that most modern POS software is very user-friendly and easy to learn for you and your staff. A restaurant POS system is recommended if you’re a restauranteur and want to be competitive in the business. There are many types of restaurants like full-service restaurants, quick-service restaurants, fast food, take-out only, cafe’s, pizza shop, etc. No matter what kind of restaurant you own or if you’re starting your dream restaurant, you need to accept payments of all types securely. Also, you’ll need all the features that a quality point of sale system provides to aid in managing your operations and growing your customers base. Restaurant software offers many hospitality functions that help to make your restaurant run smoothly and streamline the management of your establishment. Utilizing features like inventory management will help you find where to cut food costs and to boost profit margins by using recipe costing. Most restaurant management systems offer an option to cost your recipes so you can see recommended pricing to ensure you’re turning an adequate profit. Recipe costing is just one example of features a restaurant computer system can provide. Some other features you’re going to need potentially are marketing, customer management, online ordering, loyalty program, server sales performance, new versus repeat customers, invoice purchasing, menu performance, employee management, and sales reporting. So you start to see with all the options available, that the advantage of using a modern point of sale far exceeds not having one or using a simple cash register. Another significant advantage of using a restaurant management software is the ability to send orders directly to the kitchen – this is a considerable advantage by increasing food prep time, staff efficiency, and reducing errors in the kitchen. If you’re doing handwritten tickets, think about how many errors and the time loss that becomes of that method. With a POS, there is fewer errors and faster prep times because the menu items are sent directly to the kitchen, and the chef and prep staff can easily read the ticket to prepare the meal. 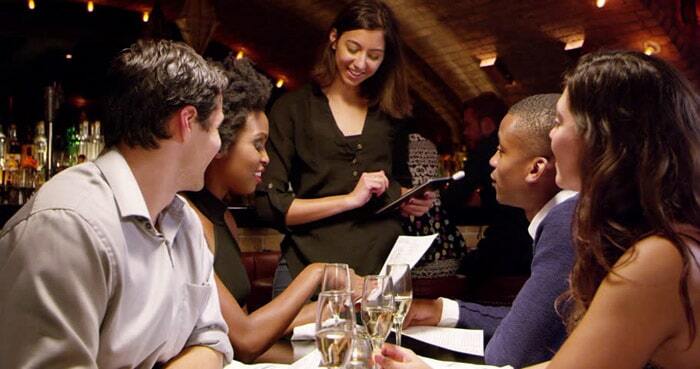 The reality is your competition is using a modern restaurant management system to improve customer service, so if you’re not, you’re potentially losing customers to your competitors. The only negative to implementing a new restaurant management system is the training time and challenge of learning new software. But that’s only temporary, once you learn the back-end and front-end of the software, you and your staff will be pros in no time. Pro Tip: If you’re buying a new restaurant point of sale, make a list of all the features you can not live without for your operations. Then when you’re researching make sure the solution you’re considering has all the features on your list, at a price that’s affordable to your business. Always, always, get a demo of the software online or in person if possible. You want to make sure it’s user-friendly, and you need to experience what you’re purchasing – this is a significant investment in your business, so make it a smart one and compare your options here. If you own a bar or restaurant and bar, there are some specific requirements you’ll want to consider for bars and nightclubs. 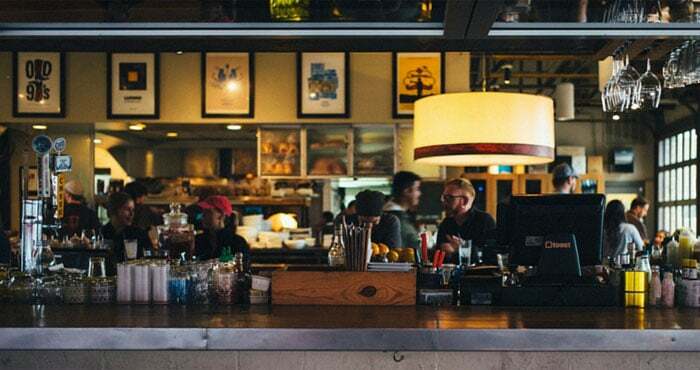 Of course there are POS systems dedicated to bars and nightclubs; however, you’ll also find that many of the top restaurant point-of-sale systems have features for bars. Confused yet? Don’t be, because the main features to look for in bar software is pre-authorization of payments (for tabs management), bar and liquor inventory and control, speed functions like reordering rounds, bar prep printing, and fast checkout. In busy restaurants, nightclubs, and bars, speed is essential, so you want to make sure your point of sale software and hardware is as fast as possible, credit card processing is integrated, and it has all these features we mentioned above. If not, you’re going to hate your P.O.S, and you’re going to have some unhappy customers. Additional features to consider for nightclub and bar point of sale software is employee management, inventory management, customer loyalty, recipes, tab management, quick reorder rounds, and quick customer checkout. Reporting is critical as well to keep track of your food and beverage taxes. Also, you’ll want to see your labor costs and sales reports. Pro Tip: If you’re considering a tablet cloud-based POS for your bar, make sure you have a fast internet speed and reliable wireless connection. Most iPad and tablet systems require a Wi-Fi connection, so you need a fast and dependable wireless network infrastructure to process orders and payments. So test your internet speed requirements before committing to a cloud-based solution (more on this below). Also, you’ll want to make sure you have a failover internet connection in place, or you need to implement a backup plan to put in orders and accept payments if your internet goes down. Most POS systems have an offline option to take orders, but not payments due to PCI security standards. As you can imagine, small business POS systems cover a broad spectrum of business types identified in the “small business” category. A small restaurant, bar, cafe, coffee shop, or retail shop could be classified as a small business. Therefore, you could potentially choose a small business POS to meet your business management needs. 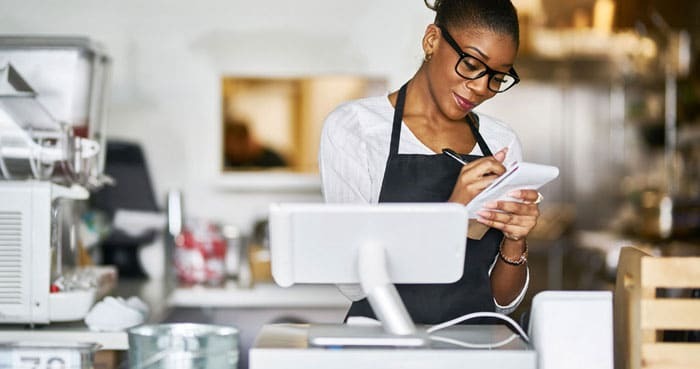 Many of the “small business” point-of-sale solutions on the market will work for small to medium-sized business, so if you plan to grow, know that most of the new technology today is scalable and has all the features you could need. 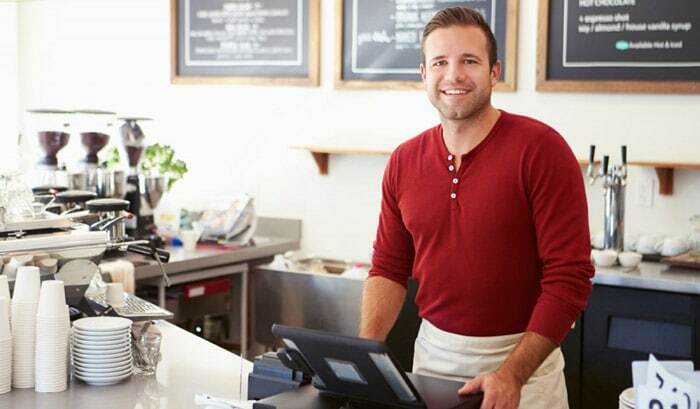 Think of a small business POS as an upgrade from a cash register. Do a quick search on Google, and you’ll find so many options, you won’t even know where to begin. But finding a small business point of sale is not as hard as it might seem. 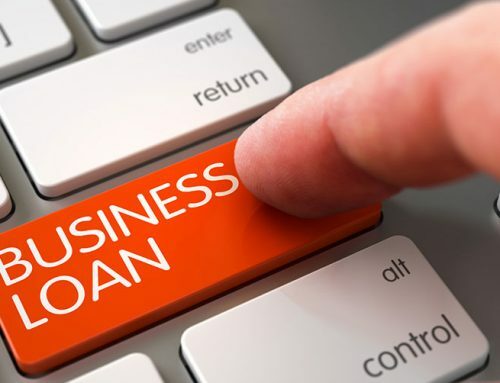 As a small business, your budget is going to be a significant consideration when it comes to decerning your top options. A good majority of the small business software on the market today is App based and work on iPads and tablets (also known as a tablet POS), which can help reduce the overall cost of purchasing a new management system. Another consideration is payment processing. As a small business, you’ll want to secure the best credit card processing rates possible. So when you’re researching, you’ll want to find out what the processing rates are with the POS company you’re considering. Most will offer integrated merchant services, but some will allow you to bring your own processor (your bank as an example). Keep in mind, since most smaller businesses process less money in volume, the rates can tend to be a little bit higher than usual. The cost of processing increases as your volume and average ticket price goes up, so negotiate your rates as your business grows. Either way, as a small business, try to get the lowest flat-rates available or look for Interchange Plus pricing to protect your profits. Since a majority of the point of sale systems for small business are App based and created to have a small foot-print, be cost-effective, and flexible, there are many advantages there. However, one potential disadvantage is that most of these Apps are cloud-based and work on a wireless platform. So you will need to have fast internet and reliable Wi-Fi connection to accept orders and payments. 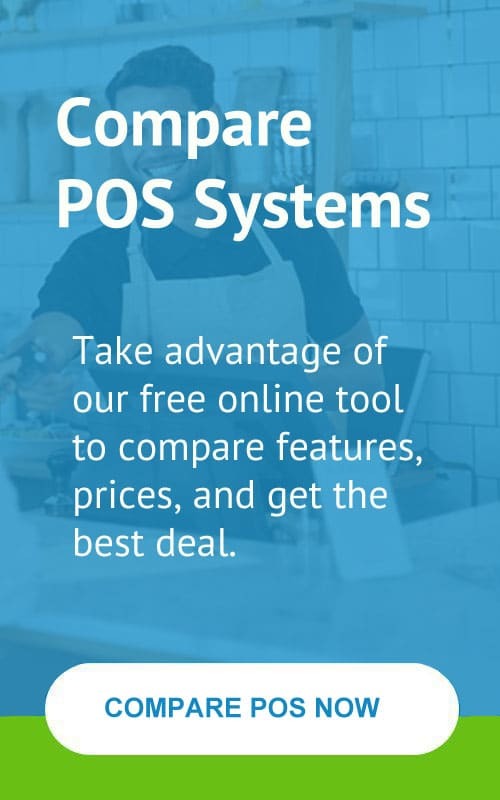 Pro Tip: With so many options on the market, if you’re buying a new small business POS system, it’s a good idea to compare prices, features, and demo the product before making a final decision. We’ve made it fast and easy for you to compare your options here. There’s hundreds of different kinds of retail management systems on the market. That’s because there are so many kinds of retail environments and each business may have specific requirements. For instance, a grocery store, liquor store or convenience store is going to need particular hardware and software capabilities compared to a small clothing shop. So keep in mind cost and features are going to vary depending on your business type. As you can see, there are many options and features to consider when it comes to retail POS technology. Reporting is also a paramount consideration, so when it comes to selecting a retail management software, you’ll want customized reporting with detailed customer reporting, sales reports, vendor reporting, and inventory stock levels. Pro Tip: If you’re considering purchasing a new retail point of sale, visit a similar store near you and find out what kind of system they’re using. Ask the management or owners how well they like it and then search reviews online to make sure it gets positive reviews – this will give you a good starting point when researching a new system. The terms cloud and mobile point of sale systems are sometimes used interchangeably. Cloud-based software is generally on a tablet POS that’s used on-premise. mPOS is a subcategory of cloud-based POS and is usually an App on mobile devices like an iPad or Android tablet, and even on smartphones. According to pointofsale.com, one of the main advantages of cloud software is that it eliminates the need for expensive onsite servers to manage your data unlike “traditional” terminal and server-based computers. Access from anywhere – All your data is stored on a server in “the cloud,” which means you always have access to your data. Cost effective – Cloud POS systems generally cost a monthly subscription fee without any contractual obligations – this can remove the entry point for a quality system without spending thousands of dollars upfront for software licensing. Easy to use – Tablet and mobile POS are easier to use because staff is already familiar with using mobile devices so that the learning curve can be shorter over the traditional point of sale machines and software. Software updates – Regular cloud updates can be pushed out to your App or online software, so you always have the latest and most secure version of the program. Also, most cloud companies offer updates at no additional charge as part of the service or support agreement. Quality support – Most mPOS companies, offer support as part of your SaaS (Software-as-a-Service) agreement. As long as you’re a paying customer, customer service should be included. 24/7/365 software support is the norm in the tablet and mobile industry. Mobility – mPOS allows you to be “mobile” where you can accept orders and payments at a vendor show, or take orders on the floor of your restaurant or retail store. While the majority of the point of sale solutions on the market offer some cloud or mobile options, you’ll want to consider all options on the table. If you have a slow or spotty internet connection, then the cloud might not be the way to go for you. If you don’t plan on taking orders tableside or away from your shop, then maybe you don’t need a mobile solution. Sometimes a traditional hard-wired or localized solution can still be the best solution. Pro Tip: Before implementing a mobile or cloud POS system, run a speed test on your internet connection and make sure it meets or exceeds the speed requirements from your vendor. Having slow or intermittent internet speed can wreak havoc on your system. In this guide, we discussed everything related to POS systems, including the actual meaning of POS is point-of-sale, the definition of mPOS, what the difference is between a cash register and POS, how a point of sale system work, and the different types of systems with examples. We want this to be the definitive guide, so if we left anything out or if you have any questions or comments, please let us know below. We’d love to hear from you! Also, if you found information in the article useful to you, we’d be very grateful if you’d share it with others. Jason Feemster is a POS specialist and the President of Point of Sale USA (https://www.posusa.com). Jason has been in the point of sale business and in information technology for over 20 years. 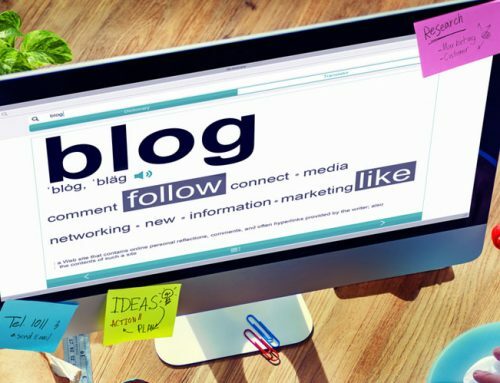 His website and articles have been featured or quoted in many industry publications including Inc.com, Business.com, Point of Sale News, Restaurant Business Online, Channelinsider.com, and VSR Magazine. Connect with Jason Feemster on LinkedIn. For more information about the point of sale industry, Jason invites you to Like POS USA on Facebook and to Follow Point of Sale USA on LinkedIn.